Motorola has a brand new Moto E, which packs a quad-core processor and LTE into a low-cost package that’s available to everyone. 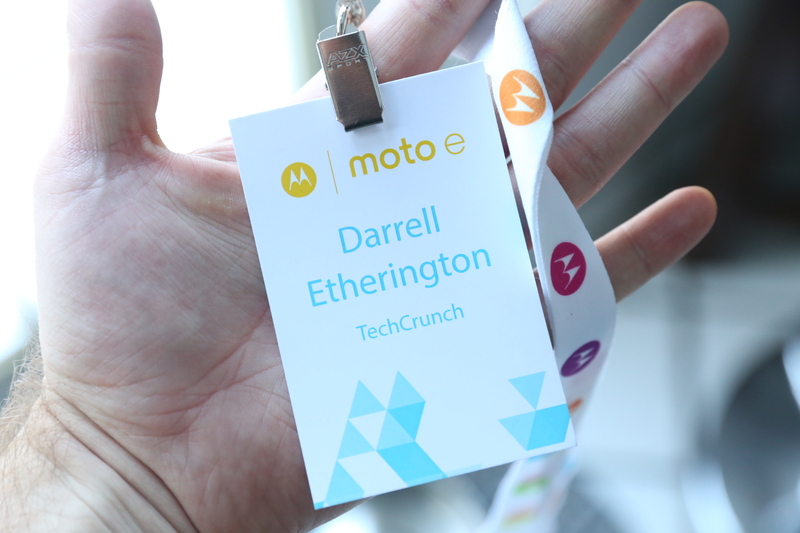 The Moto E starts at just $149, and goes on sale today in 40 markets around the world. It’s a good deal, especially now that Motorola has brought a number of high-end features from the Moto X to the lower-cost device, but even more impressive than the phone might be the way Motorola presented it. 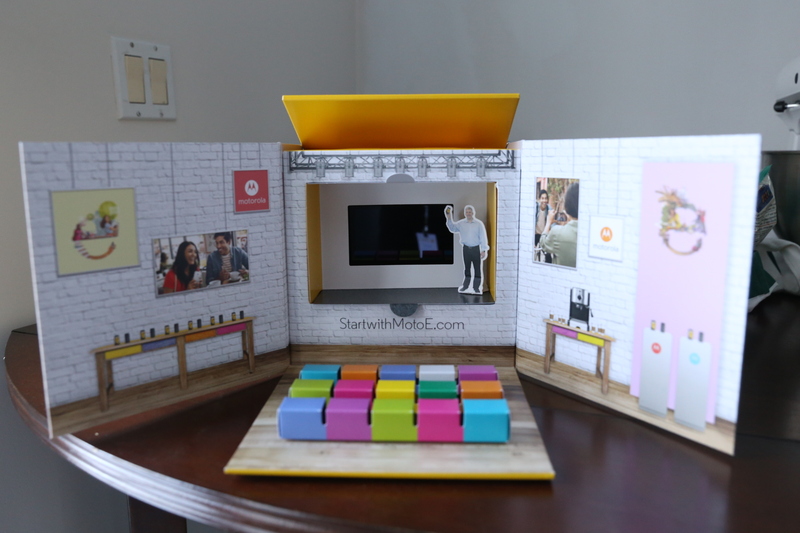 Witness the press conference in a box, complete with a miniature cardboard cutout of Rick Osterloh, Motorola President, and a tantalizing coffee machine that sadly is just a picture and produces no coffee. The box includes an actual press badge, which you can see from the photos, as well as the Moto E and a swappable grip edge (color customized outer rim for the smartphone that is one of its new features), as well as a protective case with a transparent back. We’ll have further impressions of the device itself later today. For now, know that the phone boasts Android 5.0 Lollipop, a 4.5-inch 540×960 display, a Qualcomm Snapdragon quad-core processor, 8GB of on-board storage with removable micro SD card support, a 5MP rear camera with AF and a front VGA camera, plus additional sensors to help trigger Motorola’s Quick Capture and active display notifications. It already seems like a big upgrade on last year’s model.